An anthology of seven short, experimental films from prolific artist Michael J. Saul. The shorts reflect the filmmaker's obsession with daydreaming in the work he's created over the past 40 years. Michael J. Saul is the same prolific and wildly versatile filmmaker behind The Surface, Crush, Scenes of Inquiry, Adults Only, True Love and Go Go Reject. A filmmaker for the past four decades, this absolutely gorgeous compilation showcases some of his most beautiful experimental work. 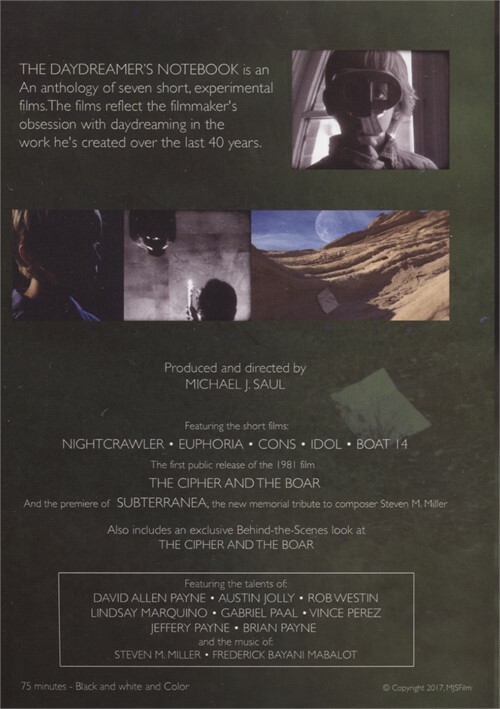 This collection contains his short films Nightcrawler, Euphoria, Cons, Idol, Boat 14, Subterranea and The Cipher and the Boar, for which there is behind-the-scenes footage included. It also features informative and moving narration from Michael himself, who reflects on his work and it's biographical aspects. Though maybe not for all tastes, those who appreciate great cinematography and more abstract, experimental film work will find a lot to love here. 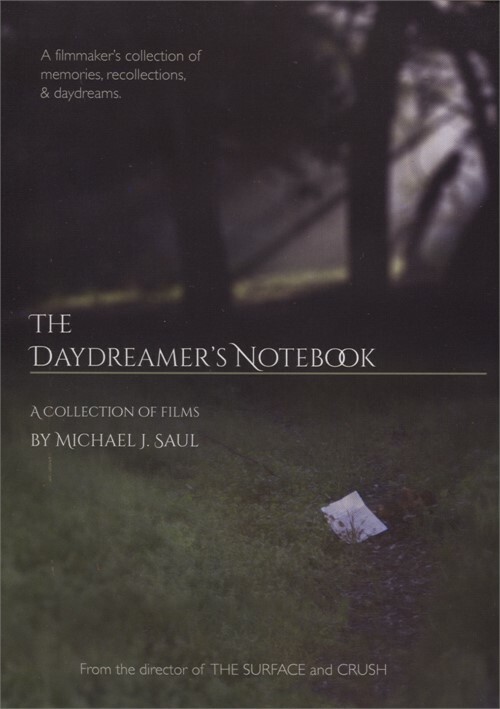 The Daydreamer's Notebooks offers a unique cinematic experience if you're willing to sit back and sink into its , dreamy wavelength.